Urban populations are observing a restless lifestyle owing to work pressure as a profession and expanding landscapes of metropolitan area that has significantly incremented daily travel by the means of personal vehicles or public transport. As urbanization engulfs heavily populated emerging economies, the common opportunities that are emerging are in the food and beverage industry. Food habits are radically changing from full course three meals to incremented inclination on snacks. However, the snacks market that has been flourishing in the past decade is now getting restructured as a result of growing awareness among the intended customers regarding the ill-effects of snacks if consumed regularly in substantiality. Thankfully, awareness has also multiplied in terms of the availability of organic snacks, which are wholly made from natural ingredients and have the potential to not only cause no-harm to the consumers but also serve with health benefits. 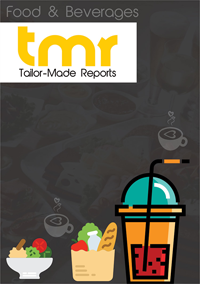 According to the findings of this business intelligence study, the global organic snacks market is poised for a fruitful future with the demand multiplying at a profitable compound annual growth rate (CAGR) during the forecast period of 2018 to 2028. A number of chronic diseases including obesity and diabetes have gained strong prevalence in the recent past and consumers are now aware of the fact that they stroke their chances of falling prey to the bodily disorders by eating unhealthy snacks. However, since the addiction has now significantly sunk in, alternative of organic snacks is serving the changing demands. Apart from awareness, aggressive marketing and promotional activities by the leading vendors including television commercials and branding is further augmenting the awareness, and hence the demand. A number of governments are giving away incentives to organic farmers and farms are mushrooming across outskirts of metropolitan cities across the world, catering to localized demands. With improved availability of these products, the adoption is anticipated to multiply in the near future. On the other hand, organic snacks are significantly costlier than the alternatives as they are produced without the usage of yield-incrementing chemical fertilizers as well as in a confined environment. This factor is challenging the organic snacks market from serving greater pool of customers. Deepening penetration of social media is emerging as an option that has potential to radically increment the awareness. Consumers are sharing their own experiences with general snacks and the benefits of organic ones and enticing newer customers. In addition to that, producers of organic snacks are also resorting to social media to promote their products, highlighting the health benefits while serving the appetite and taste buds. North America, driving by the U.S. wherein obesity is a severe concern, is currently the region with the greatest demand potential for organic snacks. Substantial disposable income of the citizens, greater levels of awareness, and high adoption rate of new products are some of the other factors driving the demand in the North America organic snacks market. That being said, Asia Pacific and Europe are two regions that must be concentrated on. General Mills, Conagra Brands, Newman's Own, Hormel Foods, THE WHITEWAVE FOODS COMPANY, Amy’s Kitchen, AMCON Distributing Company, Dean Foods, Clif Bar & Company, Frito-Lay, Organic Valley, and Hain Celestial Group are some of the most prominent companies currently holding a position of strength in the global organic snacks market. Most of these players are currently confined within the North American and European region but in the near future, they are expected to make forays into the emerging economies in APAC for greater shares.